America’s Got Talent, NBC’s top-rated summer series, from American Idol producers FremantleMedia North America and Simon Cowell’s SYCO Television, returns this summer with the hottest performers from across the country ready to compete in the blockbuster reality show’s seventh season. 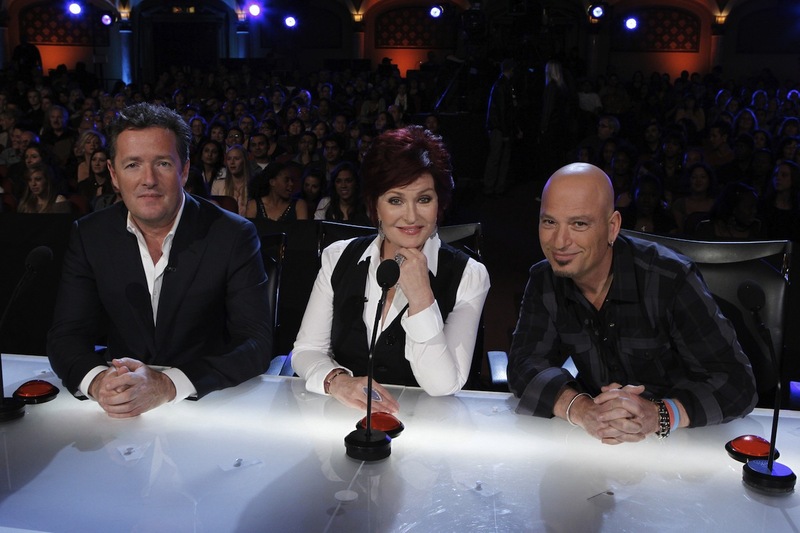 Celebrity judges are Howie Mandel (Deal or No Deal), Sharon Osbourne and Howard Stern, while actor/producer/comedian Nick Cannon returns as host. With the talent search open to acts of all ages, America’s Got Talent has brought the variety format back to the forefront of American culture by showcasing performers from across the country. The series is a true celebration of the American spirit, featuring a colorful array of hopeful stars, including singers, dancers, comedians, contortionists, impressionists, jugglers, magicians and ventriloquists, all vying for their chance to strut and perform on stage hoping to win America’s hearts – and the one million dollar prize. This show gave Ishaara the opportunity to perform on live television, and served as a platform for Ishaara to reach millions of people across the nation, promoting their culture and love for Bollywood. From Logan County in West Virginia, Landau Eugene Murphy Jr. was recently crowned the winner of the sixth season’s competition. The win moved the humble Frank Sinatra-style singer to tears as he took home the show’s one million dollar prize. Since the show he’s signed record deals with Sony Records and Columbia Records. Season 4 winner Kevin Skinner released his debut album, “Long Ride.” One of last season’s finalists, Recycled Percussion, is currently headlining its own show at the Tropicana in Las Vegas, and Barbara Padilla, last season’s runner-up, is working on albums in Spanish and Italian. Season 2 winner Terry Fator – a ventriloquist from Dallas, Texas – achieved his lifelong dream when he was crowned the second season champion. After the win, he went on to sign a five-year, one hundred million dollar deal to headline at the Mirage in Las Vegas. “America’s Got Talent” is produced by FremantleMedia North America and Simon Cowell’s SYCO Television. Simon Cowell, Cecile Frot-Coutaz (American Idol), Jason Raff, Ken Warwick (American Idol) and Georgie Hurford-Jones are executive producers.